The Treasury of Precious Instructions (Tib. གདམས་ངག་མཛོད་, Damngak Dzö; Wyl. 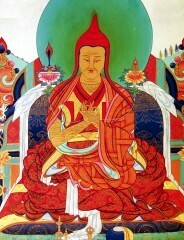 gdams ngag mdzod) is one of The Five Great Treasures of Jamgön Kongtrul the Great. It is a compilation of the most profound maturing empowerments and liberating instructions belonging to the eight great chariots of the practice lineage. This page was last edited on 25 March 2011, at 08:36.